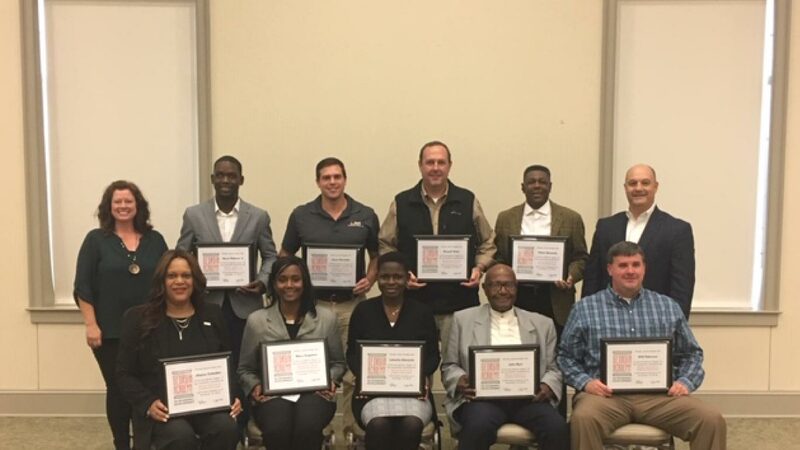 The Board of the Georgia Academy for Economic Development announces Dougherty County graduates from the 2018 Region 10 Multi-Day Training Program. Class participants represented a number of professional and non-professional economic development fields, including elected officials, public servants, business leaders, educators, and social service providers from 10 counties in Southwest Georgia. The Academy provided each of the graduates an opportunity to gain a unique understanding of the complexities of economic and community development on the local, regional, and state levels. Dougherty County graduates at the November 15th ceremony included: Jason Burnette, John Burr, Haryl Dabney Jr, Latasha Edwards, Victor Edwards, Russell Gray, Will Peterson, Mary Singleton, and Sharon Subadan. Created in 1993, the Academy assembles a cross section of economic development professionals and resources to provide this training in all twelve service delivery regions in Georgia. The Board of Directors of the Academy represent public and private economic development organizations and agencies from across Georgia. Since its organization, the Academy has provided training for thousands of professional and non-professional economic developers around the state, and since 1998 the Academy has been offered annually in all twelve regions of the state. Georgia EMC and Georgia Power provide facilitators for the program, and the Georgia Department of Community Affairs provides staff support to this important program. “Georgia Power continues to play a major role in the State’s economic development. The Academy participants build relationships, share best practices, and learn about important issues and challenges facing our communities. 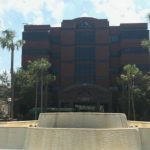 We’re proud to be a partner in this important effort, preparing our leaders for continued economic growth throughout the state,” says Georgia Power Company Community Development Manager Kristy Rachal. The Academy’s multi-day program, taught one day a month over a four-month period, includes training in the basics of economic and community development, plus specialized segments on business recruitment and retention, tourism product development, downtown development, planning, and other essentials for community success. In addition, the curriculum features specific leadership skills such as consensus building, ethics in public service, collaborative leadership and other segments needed for effective community leadership in economic development. Local elected officials may receive certification training credits through the Association County Commissioners of Georgia and the Georgia Municipal Association for completion of this program. The next Region 10 Georgia Academy for Economic Development will begin in August 2019. For more information on this, please contact Gina Webb at 404-387-1429 or by email at gina.webb@dca.ga.gov. Founded in 1978, LRA Constructors, Inc. is a full service general contracting, design-build and construction management firm working in Georgia, Florida and Alabama and serving a diverse range of clients in the automotive, religious, healthcare, industrial, government, education, office, multi-unit, retail and specialty markets. For more information, visit: lraconstructors.com.